Why sit in traffic for hours trying to get away for the weekend, when the Amtrak can take you to your destination without all the stress? Grab a magazine, good book or bring your laptop & get some work done. Let someone else do the driving while you enjoy a meal, a beer, socializing or a nap & arrive at your vacation relaxed. No need to make reservations way in advance, the stations will be there for your ticket purchase when you want it. Bring your bike along for a small fee. weekend scenic train rides on vintage train, murder mystery event trains, Christmas train rides and more! 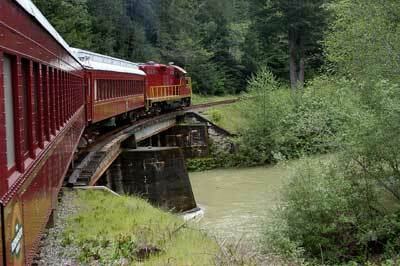 Scenic train trips in redwood forests throughout the summer. Sonoma Valley Wine Trolley - Reserve Wine Train Online! This is a new addition to the So.Cal. coast. 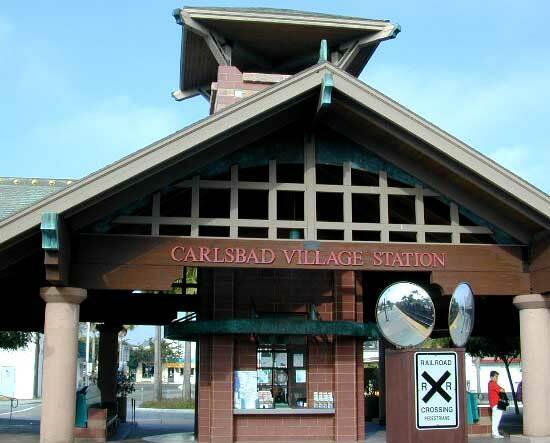 Take a day trip for lunch up the coast to Carlsbad or head south for city sights. Look for the Amtrak logo on California towns pages to find out if train service is available to that destination!